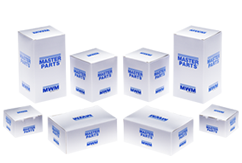 The Master Parts® line was developed with the purpose of expanding the spare parts portfolio, as well as meeting and commercializing multi-brand products, offering solutions for various platforms. With the safety of MWM. Locate a MASTER PARTS® distributor near you. © 2019 Master Parts®. All rights reserved.